Top blogs for CEOs, Boards, CXO-level executives and decision makers. Leadership is an ever-evolving discipline and skill. That’s why we’re excited to unveil our list of award-winning best leadership blogs for 2018. Let’s face it. Leadership is an ever-evolving discipline and skill. We’re never “done” learning to lead. As leaders, we’re constantly called upon to future-proof our businesses. To continually define the big picture while creating new, agile ways to connect with customers in today’s digital marketplace. 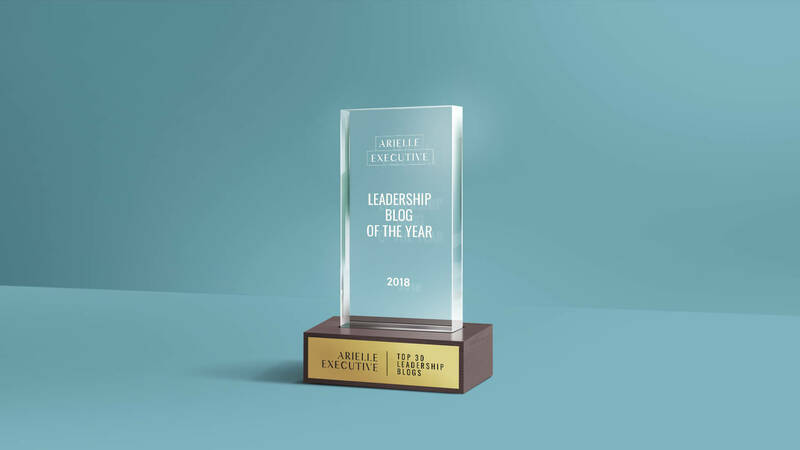 That’s why we’re excited to unveil our list of award-winning Leadership Blogs Of The Year for 2018. These blogs have been hand-picked by our editorial team to help you lead with confidence and impact while generating stronger outcomes for your shareholders. The 30 winners have been chosen from an initial field of approximately 300 contenders; they won because of their demonstrated ability to consistently provide value to modern senior business leaders. 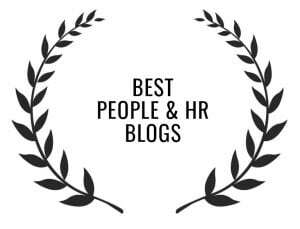 Best People & HR Leadership Blogs. 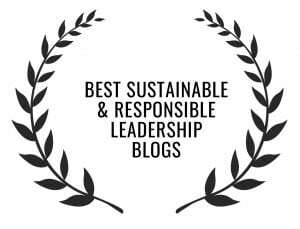 Best Sustainable & Responsible Leadership Blogs. 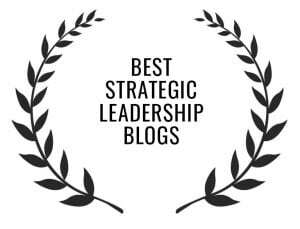 Category 1: Best Strategic Leadership Blogs. WHO: Leadership experts from around the world. WHAT: A forum for world-renowned leadership experts to mix it up. FOR: Leaders seeking a fresh take on the norm. WHO: Europe’s most powerful corporate leaders. WHAT: An e-zine featuring their challenges, victories and struggles — including profiles. FOR: CEOs and wanna-be CEOs. WHO: Michael McKinney is a veteran management consultant. FOR: Change management executives. And who isn’t one these days? WHO: Insights from key member firms of the PwC network. WHAT: Comprehensive blog on all aspects of business and leadership. FOR: Leaders passionate about the complexity and impact of decision-making. WHO: Author and consultant Simon Sinek partners with Ernst & Young to personalise corporate notions of leadership. WHAT: A library of inspirational video on leading with purpose. FOR: Leaders who’ve lost touch with why they’re leading. WHO: Site produces proprietary editorial features such as the Best & Worst States for Business, CEO of the Year, the Mid-Market Elite and the CEO Confidence Index. WHAT: The most robust and intelligent section of the website. Strategy, operations and leadership. FOR: CEOs, COOs and anyone who wants to move into the C-suite. WHAT: A blog committed to helping leaders seize competitive advantage. Corporate strategy, competition, marketing strategies, executive interviews and leadership. FOR: Leaders who want to become exceptional executives and thrive in the digital age. WHO: Author and former dot-com executive. WHAT: Like a hot knife through butter, Seth’s quick hits tie personal leadership to the world at large. FOR: Thinkers (especially entrepreneurs) whose minds are cluttered with too much philosophy. (Related Article: How This CEO Leads Change In The Digital Age). 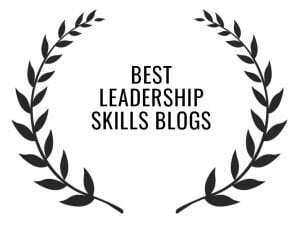 Category 2: Best Leadership Skills Blogs. WHO: Torben Rick, senior executive specialising in business improvement and development, change management and turn-around. WHAT: Consistently top-rated and socially shared blog offering proven, yet out-of-box, leadership approaches. FOR: Senior leaders seeking fresh approaches to complex business challenges. WHO: A site centered around CXO interviews. WHAT: How to run effective organisations, stay ahead of business trends and use data to gain competitive advantage. FOR: Recently minted corporate executives, startup CEOs. WHO: Dan Rockwell writes the most socially shared leadership blog. WHAT: Short snippets on relevant leadership topics. FOR: Leaders interested in bringing their best to the task. WHO: Michael Myatt (he gets around), Jim Kerr plus other contributors. WHO: Dan Pink, repeatedly named one of the top business thinkers in the world, and whose Ted Talk is one of the 10 most-watched in history. WHAT: Relentless authenticity, no fluff approach to motivation and drive. FOR: Leaders in need of an extra push. Category 3: Best People & HR Leadership Blogs. WHO: A collection of HR thought leaders sharing best practices on people matters. WHAT: It’s like HR-unplugged, offering the inside scoop on tedious or mysterious HR practices. FOR: Leaders seeking insight into the people/talent/HR aspects of leading. WHO: Sharlyn Lauby, President of ITM Group and long-time HR generalist turned consultant. WHAT: Leadership, employee engagement, career advice — No HR question is off limits. FOR: Leaders who don’t trust (or don’t know) their in-house HR partners. WHO: Start-up whose mission is to bring out the best in people at work. WHAT: Comprehensive blog exploring the hands-on aspects of leadership, and more. FOR: People leaders seeking the latest approaches to managing talent. 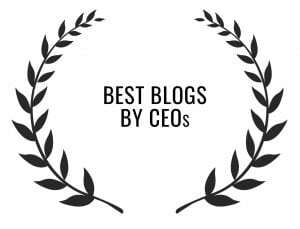 Category 4: Best Blogs By CEOs. WHO: One of Australia’s best-known entrepreneurs, Shark Tank’s Red Shark and the force behind The Big Red Group. WHAT: Simson gets back to the essential basics, providing easily digestible and refreshingly relatable business lessons. Overlook her advice at your own peril. FOR: Leaders who like straight talk. WHO: Forrester CEO George Colony. WHAT: Thoughts, stories and opinions for the CEO audience. FOR: CEOs seeking inspiration from other CEOs. Category 5: Best Sustainable & Responsible Leadership Blogs. WHO: A think tank and advisory firm created inspiring businesses to lead the way to a sustainable economy. WHAT: Opinions and advice from experts on what’s next in the CSR space. FOR: Leaders looking to make their CSR strategies more than lip service. WHO: Patagonia’s corporate blog, often featuring Yvon Chouinard. WHAT: Environment, culture, politics and yes … the influence a corporation can have on it all. FOR: Anyone who cares about the planet. WHO: A San Francisco Bay Area group formed to hold corporations socially and environmentally accountable. WHAT: The good, bad and ugly behaviour from corporations around the world. FOR: Anyone interested in corporate accountability, or leaders watching trends to inform their own behaviour. WHO: A global group of purpose-driven leaders aiming to inspire the next generation. WHAT: The world’s first sustainable business & leadership magazine. FOR: Leaders seeking to thrive in the sustainable economy. 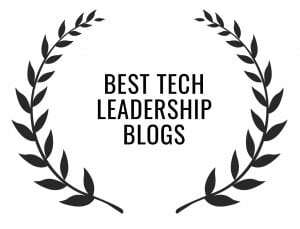 Category 6: Best Tech Leadership Blogs. WHO: The Washington Post’s take on where the world is headed. WHAT: Robots, Drones and Self-Driving Cars … oh, my. FOR: Leaders ready to see beyond their bubble. WHO: GE as a journalist. WHAT: Medicine; alternative energy; women in tech; 5 coolest things on earth; 3D printers. FOR: For anyone hungry to embrace the bigger picture. WHO: A global group of thinkers who believe that innovation should be approached as any other management discipline. WHAT: An online library of knowledge, best practices, tools and related resources for innovation practitioners and professionals. FOR: Original thinkers who are fed up with traditional corporate roadblocks to innovation. These final 10 blogs need no explanation. 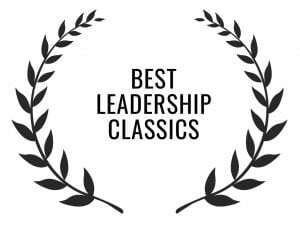 They’re the mainstays that every executive, or aspirant, should gut check against for unwavering, up-to-the-minute guidance on leading in the corporate world.